We review the 24mp Sony Alpha A6500 - Sony's latest APS-C mirrorless camera with 5-axis image stabilisation built-in to the camera, and 4K video recording. 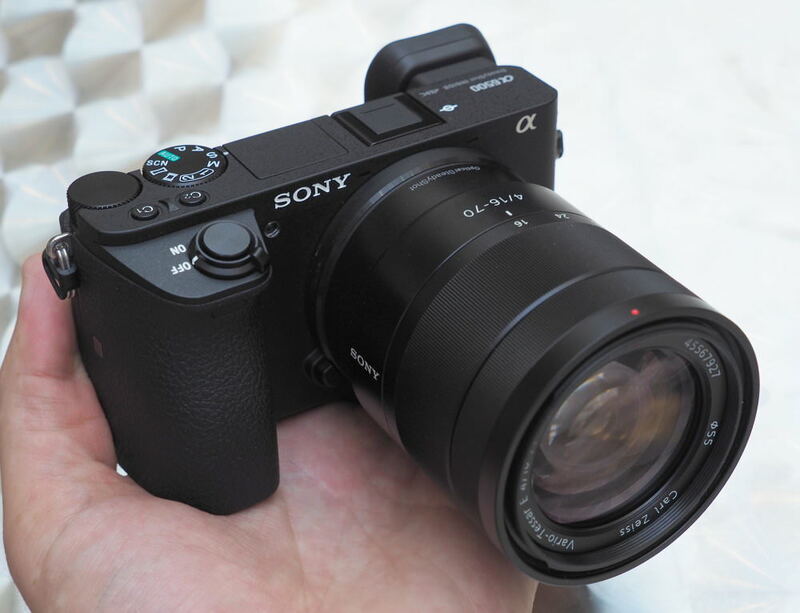 The Sony Alpha A6500 is the third version in the Sony Alpha A6000 series, announced not long after the A6300, the camera offers a number of upgrades, including built-in 5-axis image stabilisation, a tilting touch-screen, improved grip, plus more. 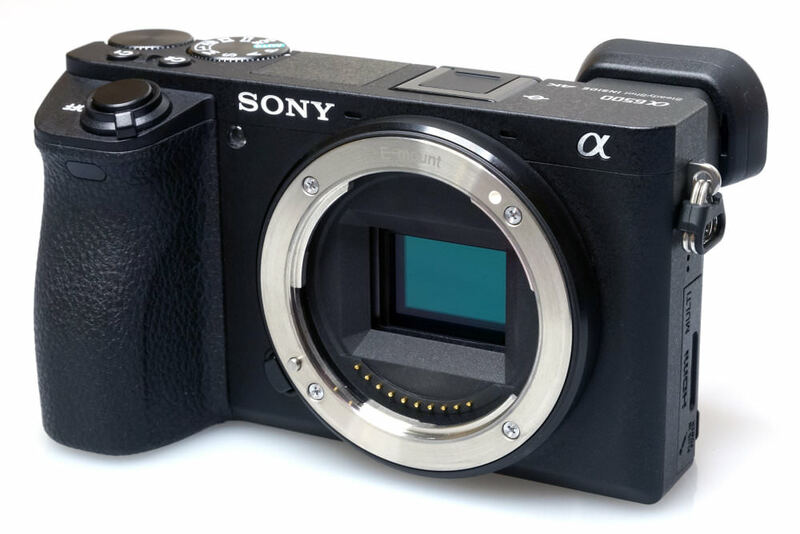 The camera features a 24 megapixel APS-C CMOS sensor, records 4K video, and shoots at 11fps. The A6300 and A6000 will remain on the market, offering alternative price points for this series. The Sony Alpha A6500 features a 24 megapixel APS-C CMOS sensor, 11fps continuous shooting (with continuous AF) and is capable of shooting up to 307 shots continuously. The camera adds in-camera 5-axis sensor-based image stabilisation, a 3inch touch-screen, and features high-speed AF with 425 AF points and phase-detection focus. The 3inch tilting screen is now a touch-screen that can be used to set the focus point, but can't be used to scroll through the menu system or select items there. It can be used in playback to zoom into photos. 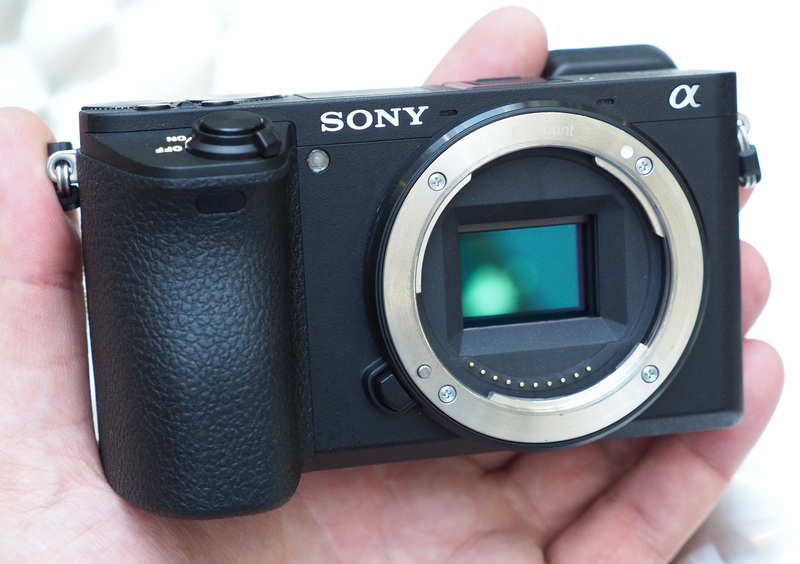 The camera has a new shutter unit, rated for 200,000 shots, and this has been re-designed to fit in the almost the same size body as the A6300, whilst also fitting in the 5-axis image stabilisation system that moves the sensor. 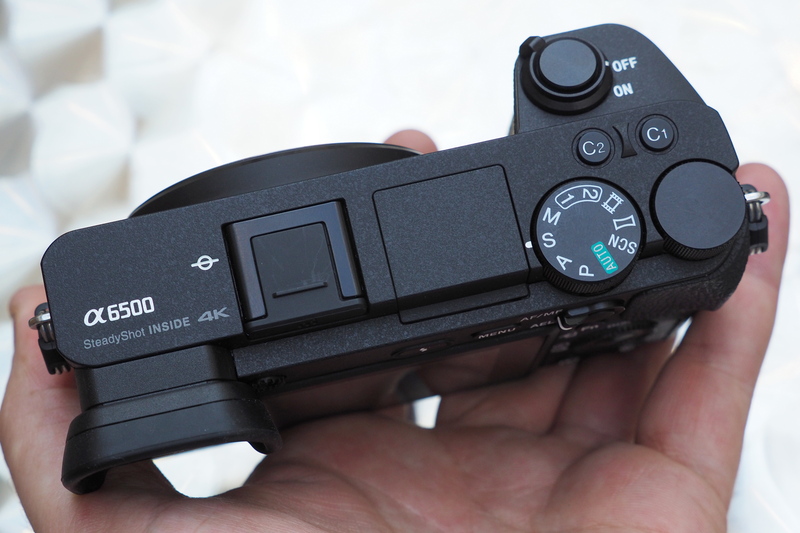 Like the A6300, the camera features 4K video recording, plus high-speed FullHD video recording at up to 120fps. There are numerous shooting modes, including full manual controls, custom modes, as well as smart Auto shooting, scene modes, and a panoramic mode. Like other Sony cameras, Wi-Fi, and NFC are built-in and the A6500 supports Sony's PlayMemory Apps, and if you register your camera with them, you will get two apps for free including a Star Trail and Multiple Exposure app. There are other apps available for free, as well as some paid apps. 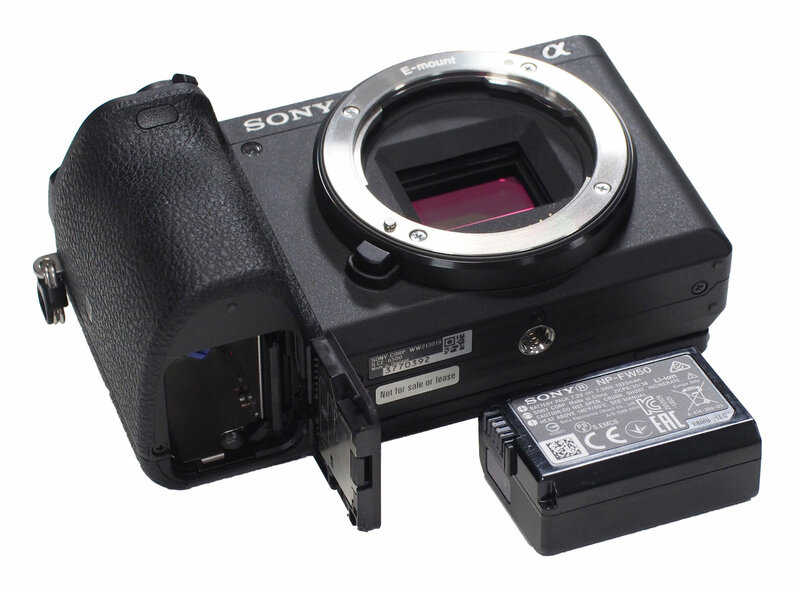 The A6500 also features Bluetooth, and this can be used to add location data to images. 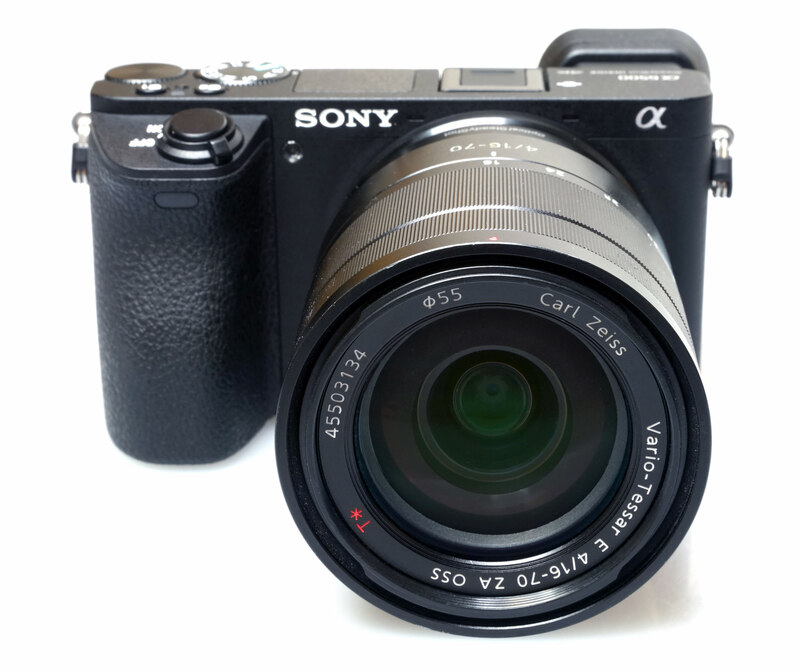 The Sony Alpha A6500 design has been improved slightly, with the camera now featuring two Custom buttons (C1 and C2) on top of the camera, and a third Custom button on the back. The grip is larger than the previous model, and has a textured rubber cover than extends round to the back of the camera, where there is a lip for your thumb. There is quick access to ISO, exposure compensation, and drive mode using the 4-way controller / scroll wheel. You can also get quick access to settings using the Fn/Function button, and these on-screen settings can be customised so that you have access to your favourite settings. However, strangely, despite the camera having a touch-screen, you can't use the touch-screen to change these settings. The camera feels well built and even the battery cover feels good, with a thick plastic used. The camera features a magnesium-alloy body that is weather-sealed, when used with a weather-sealed lens. The tilting screen and pop-up flash use metal hinges making them strong even when extended out of the camera. The memory card slot is in under the camera, in the same place as the battery. The inclusion of in-camera image stabilisation, has resulted in a heavier camera compared to the A6300, with an increase of 49g, although this increase isn't too much with the camera feeling compact and easily stored in a compact camera bag, particularly with one of the smaller lenses. There are 425 phase-detection focus points covering a wide-area of the sensor, and having a touch-screen it is easy to set the focus point using the screen. The electronic viewfinder (EVF) looks good, with a high resolution of 2.36m dots, and 0.7x magnification. The "Hi" speed "live-view" continuous shooting mode has been designed to give minimal blackout between shots, and shoot at 8fps, making it easier to track subjects. The screen looks good, although it's worth noting that the screen has a 16:9 aspect ratio so photos appear smaller on it than they would if it had a 3:2 aspect ratio. Wi-Fi features - Wi-Fi, and NFC are built-in and the A6500 supports Sony's PlayMemory Apps. There are apps available for free, as well as some paid apps. 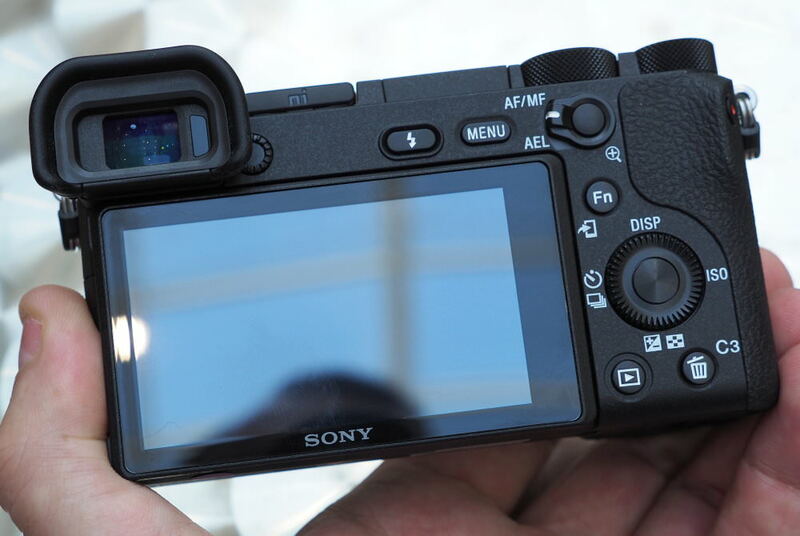 The A6500 also features Bluetooth, and this can be used to add location data to images. You can use Wi-Fi to send photos to a smartphone, a computer, view images on a TV, as well as use NFC to set up the connection. Battery life - Battery life is rated at 350 shots when using the screen according to Sony / CIPA test results, which is reasonable, although is 50 less shots than the A6300. You can also power the camera using a portable USB charger if you need to. I am not an early adopter - I bought an A6000 used just a month ago, an A7 in 2014 and an A7II in 2016. I can see how many of the features of the A6500 make it much superior not only to other APS-C cameras in the Sony line, but - IMHO - superior to every other APS-C camera I've seen. It is priced high, but likely to be reduced - and at some point, I may purchase it. But for now, lack of it doesn't impede my ability to take the best photos I can. One can admire a new product, and one can afford it without feeling compelled to purchase it immediately. I am not an early adopter - I bought an A6000 used just a month ago, an A7 in 2014 and an A7II in 2016. I can see how many of the features of the A6500 make it much superior not only to other APS-C cameras in the Sony line, but - IMHO - superior to every other APS-C camera I've seen. It is priced high, but likely to be reduced - and at some point, I may purchase it. But for now, lack of it doesn't impede my ability to take the best photos I can. One can admire a new product, and one can afford it without feeling compelled to purchase it immediately. There seem to be a typo: Pros: [b]1fps[/b] continuous shooting with AF. It sould be 11 fps. There seem to be a typo: Pros: 1fps continuous shooting with AF. It sould be 11 fps. Quote:There seem to be a typo: Pros: 1fps continuous shooting with AF. It sould be 11 fps. I own the A7R2 and spend half on still and half video I purchased the 6500 for the video enhancements, such as the Quick and slow motion. My slow motion is on memory 2 and once set up can be used in an instant. I have had this camera since it was launched, and have only used the A7R2 since to compare image quality. 18 Months technology since the launch of the A7R2 shows such huge innovation and improvement. I use the 6500 mainly with the 70-200GMaster and two converters. The image quality is unbeatable, the lens with converters give me up to 400mm on the A7R2 full frame up to 600mm with APSC and 1200 mm in clear image Zoom, with excellent quality. The best camera I have ever owned. I have owned rather a lot. I own the A7R2 and spend half on still and half video I purchased the 6500 for the video enhancements, such as the Quick and slow motion. My slow motion is on memory 2 and once set up can be used in an instant. I have had this camera since it was launched, and have only used the A7R2 since to compare image quality. 18 Months technology since the launch of the A7R2 shows such huge innovation and improvement. I use the 6500 mainly with the 70-200GMaster and two converters. The image quality is unbeatable, the lens with converters give me up to 400mm on the A7R2 full frame up to 600mm with APSC and 1200 mm in clear image Zoom, with excellent quality. The best camera I have ever owned. I have owned rather a lot.